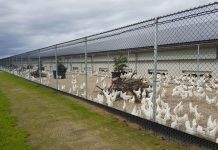 USPOULTRY and the USPOULTRY Foundation announce the completion of a funded research project at North Carolina State University in Raleigh, N.C., in which researchers developed a practical solar heater for poultry houses. 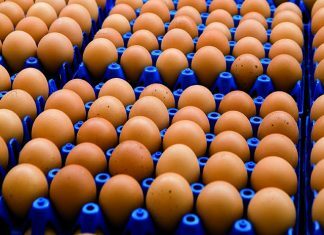 The research was made possible in part by an endowing Foundation gift from Elton and Claire Maddox and is part of the Association’s comprehensive research program encompassing all phases of poultry and egg production and processing. A brief summary of the completed project is shown below. A complete report, along with information on other Association research, may be obtained by going to USPOULTRY’s website, www.uspoultry.org. 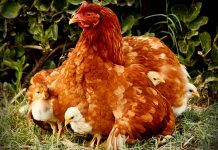 Dr. Sanjay Shah and colleagues at North Carolina State University recently completed a research project in which they developed and tested a low-cost solar heater for use in poultry houses. The solar collector is made from black plastic and heated by the sun. Air coming into the poultry house is heated as it passes through the solar collector, supplementing heat provided by propane heaters, thus reducing the potential propane usage. The study shows that use of the solar heater is economically and technically feasible for use in poultry houses. Poultry brooding requires a considerable amount of propane. Using solar air heaters, such as the transpired solar collector (TSC), can reduce propane use. The TSC consists of a dark-colored perforated metal plate that heats up the air passing through it by up to 26 degrees C when facing the sun. However, a metal TSC (mTSC) is expensive. Research has shown that perforated plastic sheets can also provide considerable heat at a much lower cost. In addition, plastic provides radiant cooling at night and may contribute to night time cooling of a poultry house. The overall objective of the proposed research was to evaluate the economic and technical feasibilities of using a low-cost plastic transpired solar collector (pTSC) in turkey brooding. The specific objectives included constructing a practical pTSC module and evaluating different available forms of plastic sheeting. Evaluations included performance for heating and cooling, environmental and air quality parameters, animal performance and economics of brooding compared to standard propane heat sources. The pTSC was able to efficiently harness solar energy to heat air coming into the turkey house. Indoor air quality, as measured by carbon monoxide and carbon dioxide levels, was improved by use of the pTSC which provided slightly improved bird performance. This is likely because of increased ventilation rates compared to a house heated with propane and no TSC. The pTSC was not effective in providing night time cooling because of cloud cover and high relative humidity. A desiccant (coconut coir) was incorporated into the pTSC system to reduce the humidity of the air but it provided only modest reductions in relative humidity. Two forms of black plastic sheeting were utilized for construction of the pTSC, plastic pond liner and landscape fabric, and compared to the mTSC. The landscape fabric outperformed the other two TSC materials in both temperature rise and efficiency. Landscape fabric appears to be a cost-effective material for construction of a pTSC and is very efficient for harnessing solar energy. 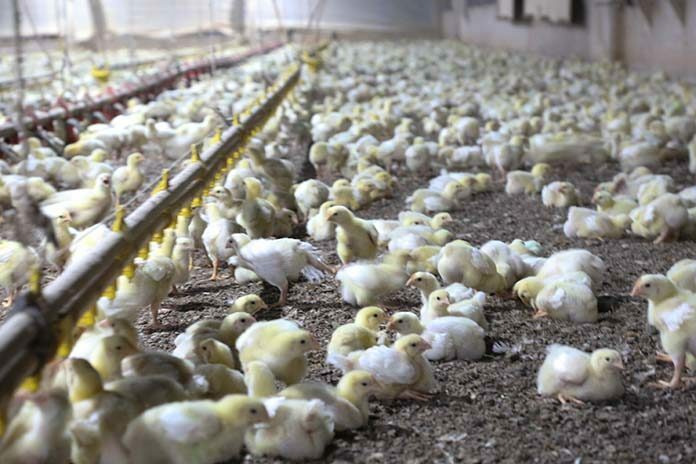 Since a pTSC only provides heat when irradiated by the sun, other heating sources must be used in a poultry house when the pTSC is not operating as a heat source. 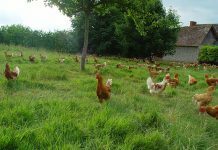 Further studies are needed to resolve challenges in integrating the use of the pTSC with the existing heating system in a poultry house. The cost of construction of the pTSC is approximately one-third of the cost of construction of the mTSC, making its potential use in the commercial poultry industry much more practical.